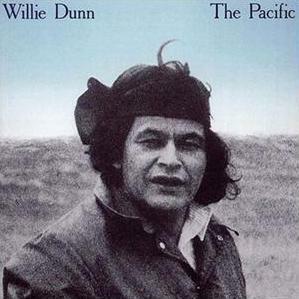 Willie Dunn, the activist and poet, the writer and singer of songs which inspired activism among the First Nations Peoples going as far back as the 1960’s, succumbed to cancer on August 5th. Willie would have reached his 72nd birthday this week (August 14). The raspberry moon gave him his first breath and it took away his last. It seems to me that people born during the moon when raspberries reach their prime are rather unique in the area of word smithing and in their dedication to causes they believe in. They are, more often than not, strong of will, strong of spirit, and strong in pride at who they are as a human being. They possess a natural love of poetry. They write it or they read it and will search a poem carefully to find words in it that might guide their lives in a sacred way. I believe Willie Dunn was such a man. He drew from poetry but he also impacted many thousands of people with the verses and rhymes only he could produce. Willie was humble. He identified with the grassroots because he was the grassroots. Egotistical, self-centred boars and the First Nations grassroots community don’t mix. Don Cherry? He could take a flying leap. Willie barely tolerated the high and mighty, especially those among us who believe they are exactly that, but exist in such a way in their minds only. It was said by a speaker at Willie’s funeral service that back in the early 1970’s, when Elizabeth II, the Queen of England, was visiting Vancouver, BC, Willie told her, “We are not your children anymore.” That’s the kind of activist he was. He said what needed to be said. Because of his courage and songs, Willie had the respect and admiration of the leaders of the American Indian Movement (AIM) and members of other red power movements as well. Please understand that Willie and other activists, singers, and poets of his generation had no role models to direct them. They were the first. Buffy Sainte-Marie, Floyd “Red Crow” Westerman, Duke Redbird and others, they started it all. The drum and our ceremonies came back into the light because of them. Make no mistake, the eagle followed where Willie went at that time, to keep him motivated. A stream brings life and health to the lake it empties into. If the stream was not present, the waters of the lake would become stagnant. The fish inside the lake would lose their glitter and eventually they would die. Willie Dunn was/is a stream. A stream with a sweet voice. He brought life afresh to a dying lake which was the First Nations Peoples as we were so close to becoming totally assimilated after so many of us having given in to the government’s propaganda machine. Kichi Migwech Willie Dunn, Sweet Voice, for all you did and for all whom you inspired. You are a man who will never die. You will live forever, a hero among us, pushing us forward, demanding more from our spirits. Dear friend, pray for us to stay strong. Willie’s family requested that I oversee his funeral service. I accepted. It was a proud moment in my life. One I shall never forget. In memory of Willie Dunn, please consider making a donation to the Wabano Centre for Aboriginal Health, 299 Montreal Rd., Ottawa, ON K1L 6B8. This entry was posted in Community and tagged Aboriginal, activist, Ballad of Crowfoot, memorial service, Willie Dunn. Bookmark the permalink. Thanks so much for your words on Willie…I am so sorry to just hear of his passing. Him and my dad and aunt were friends back in the day…I always admired Willie so much, and just loved his singing. I will always fondly remember him singing at my aunts music day parties. It was great to reconnect with you. I especially enjoyed your teachings at Willie’s service. Keep doing the great work you are doing. I hope our paths cross again soon. be forgotten. Rest in Peace.